Mexico. The obsidian set is one of my favourites. Actually I do have that set much longer as I am collecting. It was a present of my father in law, who bought it in Mexico on one of his business trips. 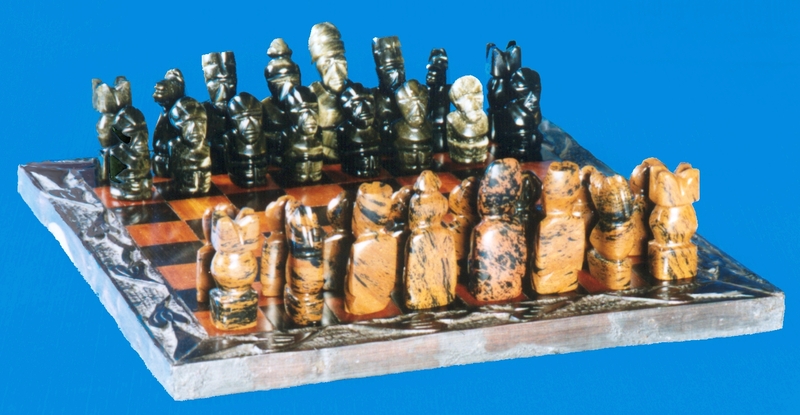 King, Queen, Bishop and pawn have native American motifs of the Mixtec (16th century) and do think of the giant statues on Easter Island. They are squat figures with the hands on the knees. Knight and Rook have a more Staunton-like design. The color of the material depends on the light. So can the black pieces seem even white! Mexico. 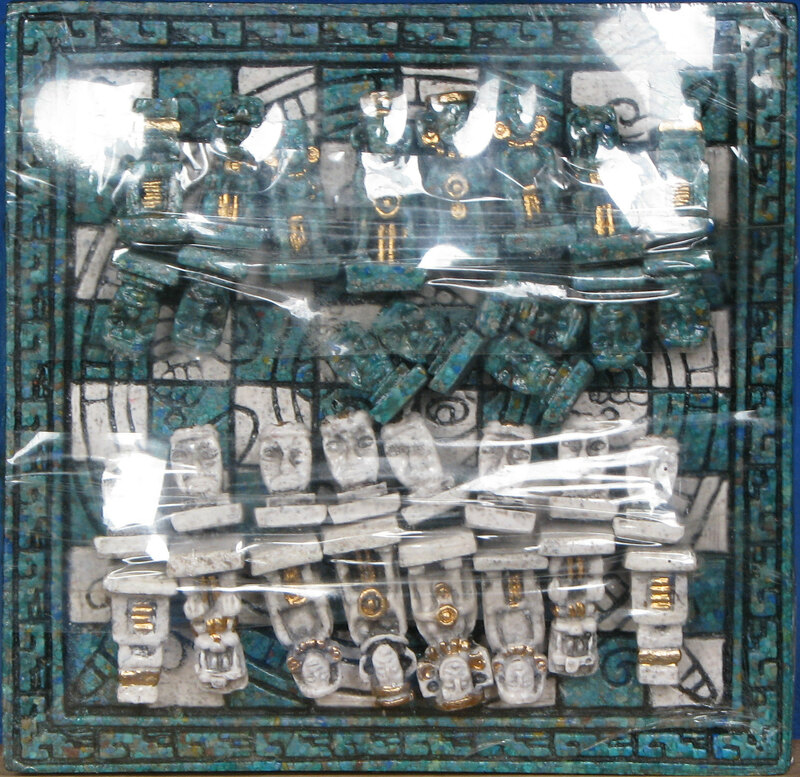 The small malachite set with Indian motives was a gift that I never did unpack to keep it new.